What happens when indie rock singer/songwriters and collaborators Courtney Barnett and Kurt Vile go record shopping for each other? Well, halfway through our What's In My Bag? interview it became apparent that almost every record Vile picked for Barnett was sure to make her cry. "This is the best record. You listen to this in the morning and you will cry," Vile said pulling out Days Have Gone By - Volume 6 by the revered fingerstyle guitarist John Fahey. Another sad classic for Vile was Townes Van Zandt's Flying Shoes. "This is my favorite record by this iconic, sad artist. The title track will kill you." When we noticed Vile's melancholy theme, Barnett replied, "Good, I love it. I love crying." Courtney Barnett is an Australian singer-songwriter known for her deadpan, slacker style. After playing with garage/grunge band Rapid Transit and psych/country band Immigrant Union, Barnett founded the label Milk! Records and released her first solo EP, I've Got a Friend Called Emily Ferris, in 2012. Her next EP, 2013's How to Carve a Rose into a Carrot, won praise around the world. That year she performed at CMJ and played a several European dates, eventually releasing both EPs together as The Double EP: A Sea of Split Peas. She released her debut full-length, Sometimes I Sit and Think, and Sometimes I Just Sit. Her second LP, Tell Me How You Really Feel was released in May 2018.
upon my return visit this week to the wonderful historic Louis Armstrong House Museum (LAHM) in Corona, Queens for a viewing of the small but engaging exhibit in the mini museum by the nicely stocked gift store, plus a guided detailed tour of the house that was the legendary jazz trumpeter & singer’s home with wife Lucille for the final decades of their lives. Louis Armstrong (aka Satchmo or Pops) died from a heart attack at age 69 on July 6, 1971 with his widow surviving him by another twelve years. No one else has lived in the preserved house since that today is exactly as it was when they both lived there. It was in this house where Armstrong wrote his most famous song, “What A Wonderful World,” and where on breaks from his busy touring schedule that he would kick back and socialize with the working class neighbors on his block including the kids to whom he was a mentor of sorts. Amoeba Music has painstakingly remastered thousands of tracks from jazz genius Louis Armstrong’s vast catalog, and you can now download them all at Amoeba.com’s Vinyl Vaults! Here is Louis as you’ve never heard him. More than 600 sides have been expertly remastered from pristine original 78s that sound amazing—plus thousands of hard-to-find and undiscovered songs remastered from out-of-print and obscure vinyl sources not found elsewhere digitally! Check out our beautifully restored rare Louis versions of “Ain’t Misbehavin’,” “Just A Gigolo” and many others. We have also remastered dozens of live shows, including the previously legendary, previously unheard “Live at Kitsilano High School” show from Vancouver in 1952—plus hundreds of lost radio and TV performances for your listening pleasure. 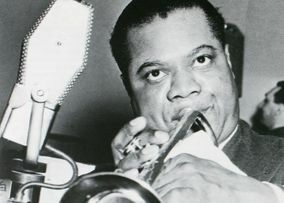 Here’s an example of the remastering we’ve done for these Louis Armstrong tracks on the song “Static Strut” from the original Vocalion 78 released in 1926. Hear the song change from the original to the Amoeba-remastered version at the 20-second mark. 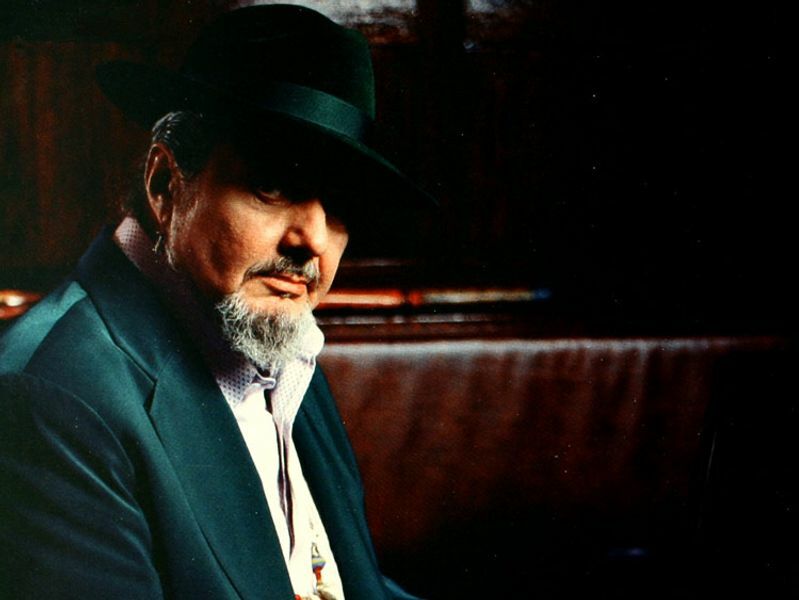 At this show Dr. John will be joined by guest trumpeters, singers and other musicians, including The Blind Boys of Alabama, Dee Dee Bridgewater, Telmary Diaz, Anthony Hamilton, Terry Blanchard, Nicholas Payton, Arturo Sandoval, Marcus Belgrave and Wendel Brunious. Expect Armstrong’s well-loved works like “Mack the Knife” and “Wonderful World” to be given the grimy swamp-blues treatment. Buy tickets here.